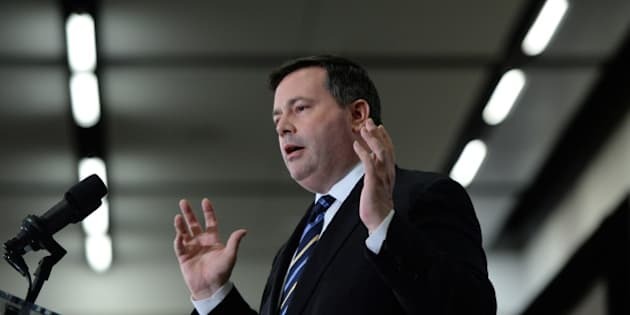 Conservative candidate Jason Kenney laid the groundwork for a broader definition of "recession" just a few short days before GDP numbers for the second quarter of 2015 are set to be released. "Most economists define a recession as a widespread downturn in the economy," Kenney told host Rosemary Barton on CBC News Network's Power & Politics on Sunday. "What we know is we have a clear sectoral downturn in oil and gas, because of a 60 per cent decline in global prices for that commodity." Traditionally, economists define a recession as two consecutive quarters with negative GDP growth. Canada's economy has contracted in each of the first four months of the year and Tuesday's GDP numbers will show whether that trend continued over the second quarter of 2015. Kenney offered a different take on the R-word. "I'm suggesting a recession is typically defined as a widespread downturn, not a discrete sectoral downturn," he said. It's a definition some economists agree with — last month the Business Cycle Council, an arm of the think tank C.D. Howe Institute, said that there's no evidence that Canada's economy has slipped into recession in any of the ways people traditionally associate with the term. The council, made up of seven private-sector economists, said it defines a recession as a "pronounced, pervasive and persistent decline in aggregate economic activity," not simply an economy that shrinks for six consecutive months. Kenney added that despite the hit on the oil and gas industry, other sectors of the economy continue to grow and that he remains confident the economy will end the year with positive growth. That's due to the "economic and fiscal fundamentals" of the Conservative government, he said. "This is why we balanced the budget and, as the Fiscal Monitor reports, in the first quarter of this fiscal year [we had] a $5 billion surplus. It's why we propose to continue fiscal discipline and tax relief to incentivize economic growth." ​Currently, most economic institutions, from the Bank of Canada to the IMF, have already revised downward their growth predictions for the second half of 2015, with most now predicting slight growth at best. The Conservatives' federal budget in April was predicated on a forecast of two per cent growth for the year.